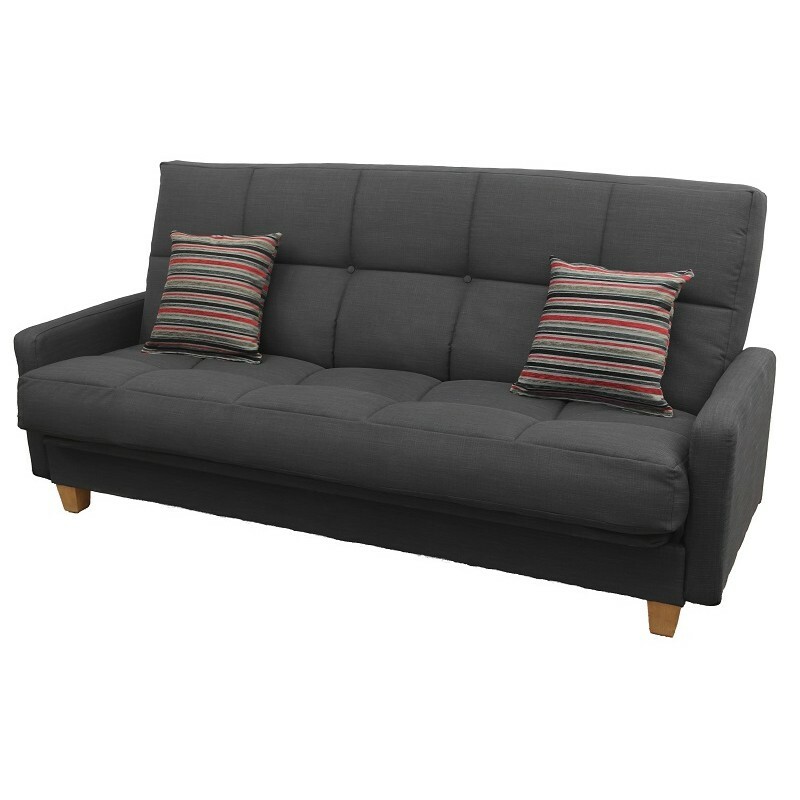 Large 3 seat sofa which easily converts into a double size bed. 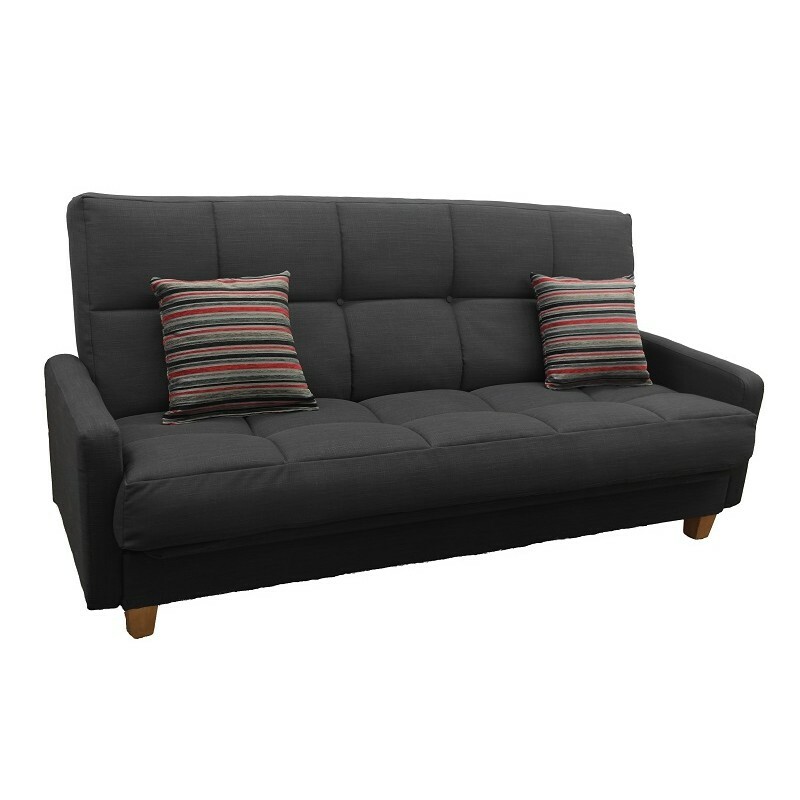 Featuring fully upholstered arm rests. The ultimate choice in sit and sleep comfort! 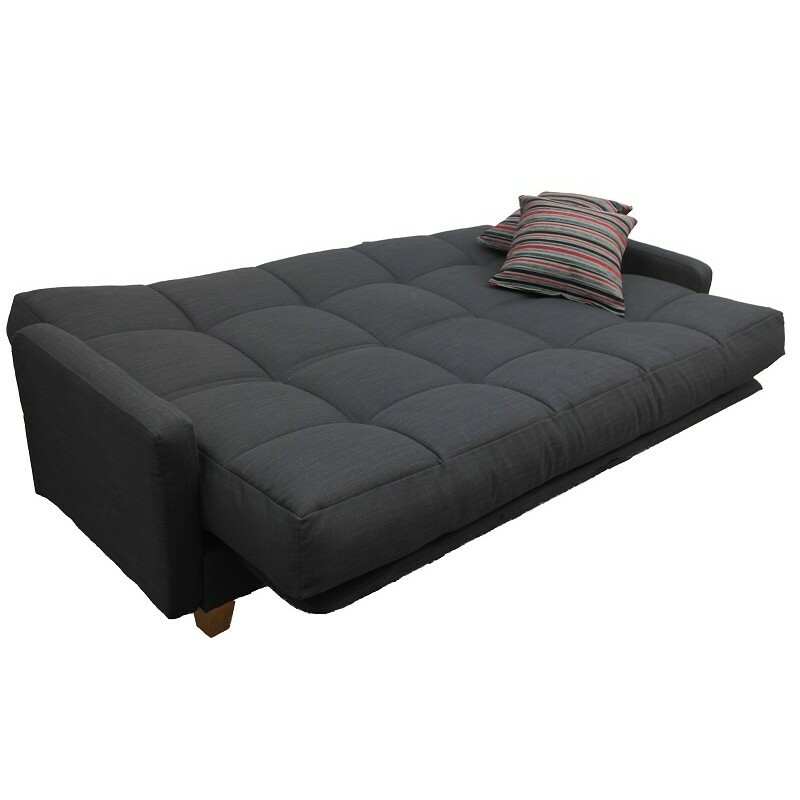 Richmond 3 seat sofa bed, exclusive to Sofabed Barn. The Richmond has a luxury, deep buttoned 18cm quilted mattress for maximum comfort which is available in a wide range of fabrics and colours, plus two small scatter cushions are included as standard. With fully upholstered, removable arm rests this stylish 3 seat click-clack is the ultimate choice for sit/sleep comfort. Take a look at our fantastic range of fabrics in a wide choice of colours to suit, including calming neutral tones through to bold and bright. 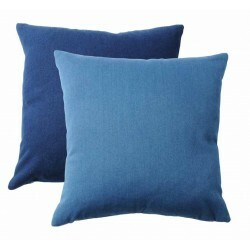 Click here to view our chenille fabric range. Click here to view our Weave fabric range. 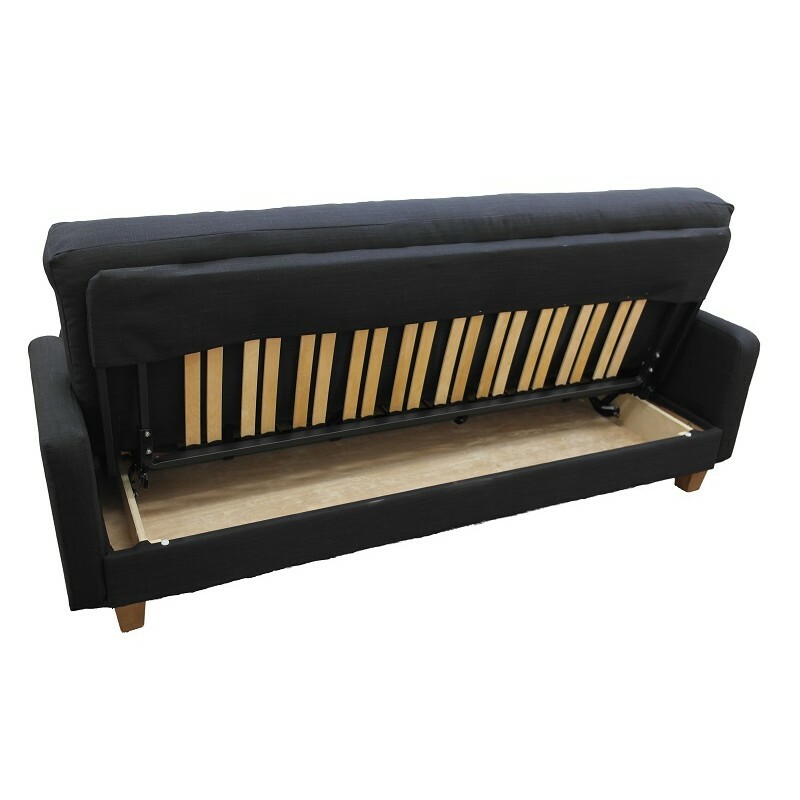 This sofa bed will be delivered in 4 sections therefore will go just about anywhere in the home, ideal solution if you have limited access. *Standard Delivery: Items will be delivered (customer self-assembly) to the ground floor / front entrance. *Room of Choice: Items will be delivered (customer self-assembly) to the room of choice. 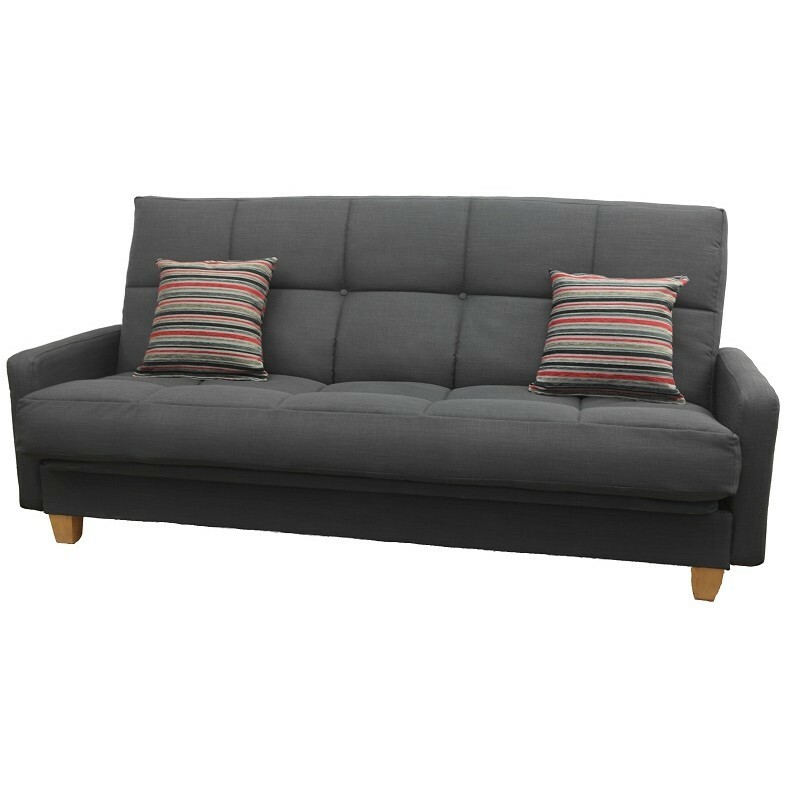 Kindly Note: Due to the size the Richmond sofa bed will always be delivered in self assembly form when choosing either delivery option. This will require the customer to complete the assembly of the sofa bed.